Please give us a call for the best and most up to date mortgage rate. 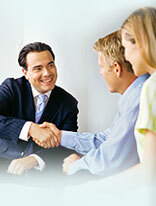 American Mortgage Loan Services, LLC. Also Fannie Mae & Freddie Mac Conforming loans. American Mortgage Loan Services is a locally owned, Florida Mortgage Broker. For over 25 years American Mortgage has been providing mortgage assistance to Florida communities. Our loan officers work with our clients to create a desirable mortgage that will best fit their needs and goals. Our Daytona Beach, Florida, loan officers can provide you with an affordable Fannie Mae, Freddie Mac, VA, USDA, or FHA mortgage, for your purchase or refinance needs. Thank you for visiting American Mortgage online. We are specialists in FHA loans, purchases, and refinances. We hope you enjoy your stay today and gain insite about mortgages and other types of lending options. As a locally owned mortgage broker, we understand things the big banks don't and realize that only two things matter. If you are looking for a mortgage broker that is going to exceed your expectations, then give Greg Novak, our Daytona Beach loan officer a call or apply online. We will tell you why we are different as a locally owned mortgage broker, what milestones to expect during the mortgage lending process, and how we work with you every step of the way. Again, thank you for visiting today. We proudly Serve those who Serve us!!! We at American Mortgage believe that there should be a home loan for every Hero! We take pride in the fact that we can help our Servicemembers, Veterans, and eligible surviving spouses become homeowners. We offer VA Mortgages for qualifying individuals with a current VA Certificate of Eligibility. VA Mortgages offer 100% Loan to Value financing with low rates and better terms. APPLY HERE for a FHA Mortgage!!! Apply HERE for a VA Mortgage!! !